This is the first tester of a dish that I’m looking to put on the menu for summer, it has simple flavours combined with a handful of modern techniques that for me, deliver a great dish. 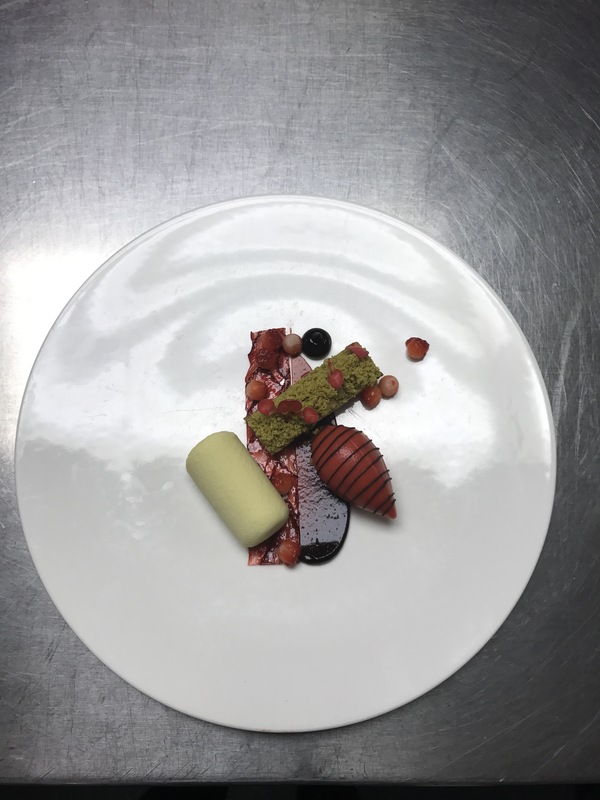 Strawberry, champagne and elderflower sorbet, macerated strawberry. Pistachio cake and sable crumb.